But here's how to do it anyway. The Pixel 3 XL hasn't even gone on sale yet and a lot of words have been written about the notch. I know, because I've written many of them. The controversy over the Pixel 3 XL's extra-large notch will surely rage on for weeks to come, at least until the next tech tumult takes hold of our attention. In response to the outcry, Google has offered a solution. Sort of. In a tweet from the Made by Google account, the company confirmed that there will be an option to hide the display cutout on the Pixel 3 XL for those who prefer "a more traditional smartphone look." Or, you know, one that's not ugly as hell. Like the LG V40, OnePlus 6, and other notchy phones, the solution is to put a black bar across the top so the notch blends in with the screen next to it. It's an inelegant solution on most handsets, creating an unbalanced forehead and chin and taking away what should be a distinguishing characteristic. The best blackout bars leave the status bar icons at the top of the screen so the screen remaining below the notch isn't truncated at all, but because they're software based, none of them look as good as a static black bezel. As it stands, Google's solution doesn't do that. For one, the notch is way deep, so the bar is deeper than the usual status bar. For another, it pushes the status bar below the notch so you're losing even more useable space. Hiding the Pixel 3 XL's notch makes the phone worse. Easy right? Now, Google will presumably by adding this option to the main Display settings tab at some point, but for now, it's a band-aid and not one of those cool Avengers ones either. Even if Google does design the notch-hiding option to include the status bar, it's still going to look weird and ugly due to the shape of the cutout. So here's my advice. Either buy a Pixel 3 XL and deal with the notch or get a Pixel 3 instead. Yes, you're getting less screen (5.5 inches versus 6.3 inches), but you won't have to look at the notch, you'll still get the newest Pixel with the newest specs, and you won't be giving up any of the new camera or AI features. And you'll save $100 to boot. 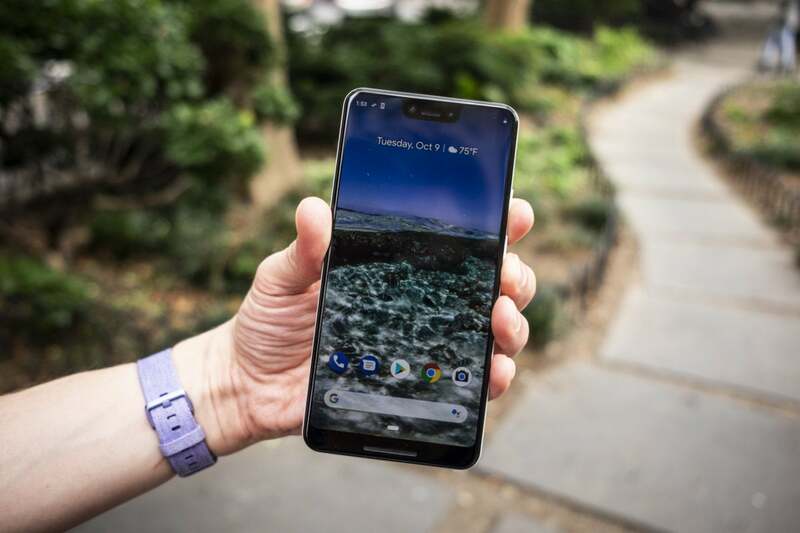 This story, "Google's Pixel 3 XL notch 'fix' is dumb and you should just buy a regular Pixel 3 instead" was originally published by PCWorld.